Have you ever wondered what it would be like to have your own private beach? 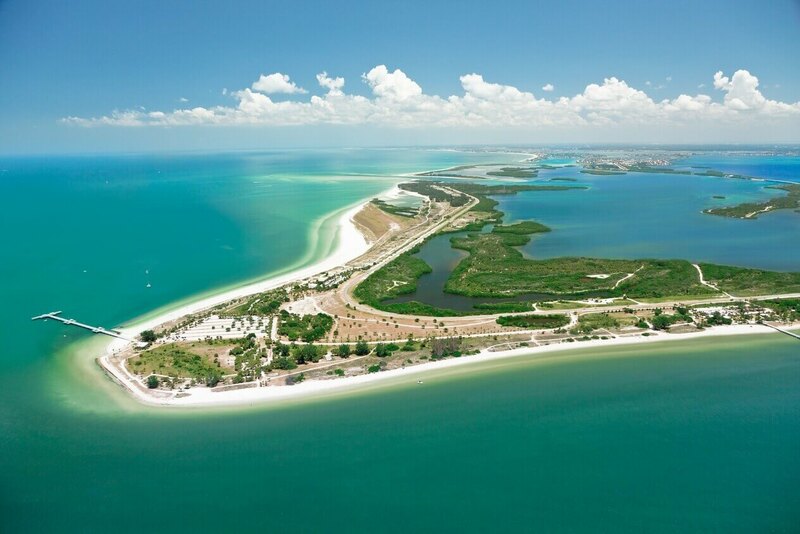 This wonderment could become a reality at Fort De Soto Park. Here the natural beauty of the beach is still preserved. If you're looking to rough it, there are campgrounds to pitch a tent. This is also a serene spot for fishing, as the park is still very wild. The park branches off into two main beaches; the east beach and the north beach. 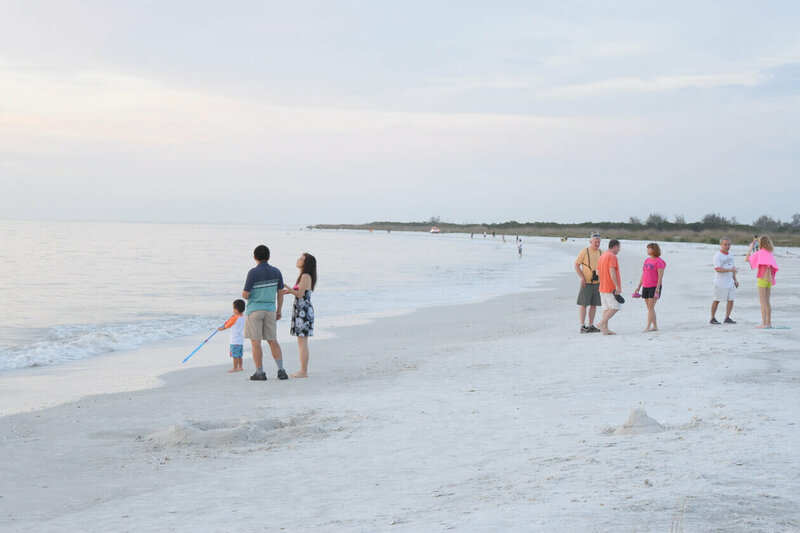 The north beach has an island to explore and in the shallow waters, if you sift through the sand, you can find sand dollars. The east shore looks out across the waters from the Sunshine Skyway Bridge. 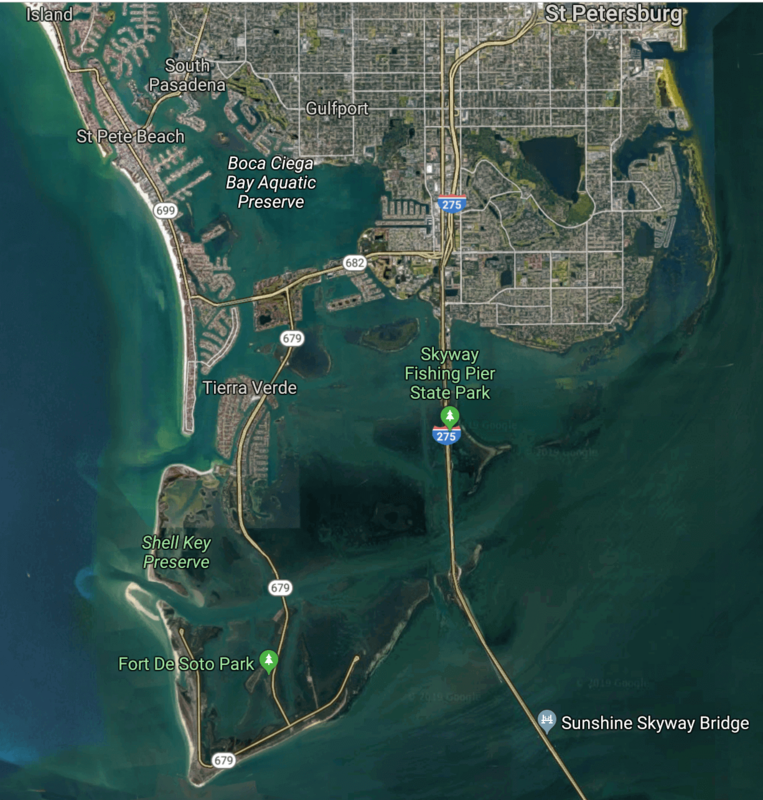 The bridge connects St. Petersburg to Terra Ceia, Florida. 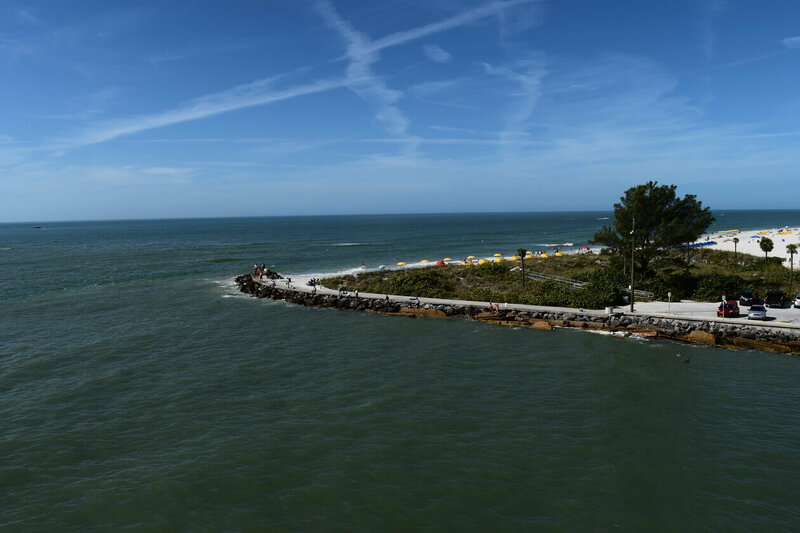 While sitting on the shore you can view ships passing under the bridge, sailboats, fishermen boats and adventurous paddleboarders. Because the Park is preserved, there is an array of wildlife; Great blue herons diving for fish, bald eagles roosting in their nests, and the splash of mullets leaping in and out of the water. This is a perfect beach to take in the peaceful sights and sounds of nature will be enjoying the warmth of the sun, set to background music of the rhythmic waves crashing in. Pro tip: Bring change for the 3 toll booths leading to the park: $1, $1 and $5 at the park entrance. 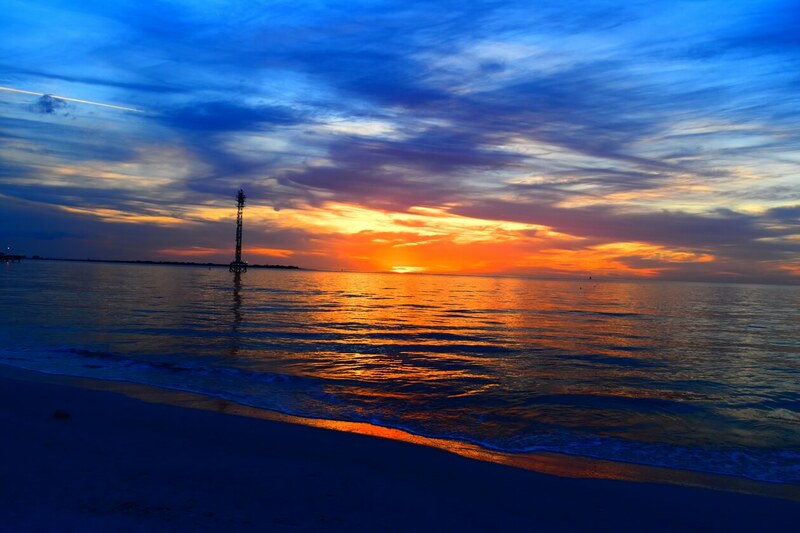 St. Pete Beach is located just outside of St. Petersburg on its own island along the Gulf of Mexico. The beaches here are lined with hotels, restaurants, and bars. As a bi-seasonal visitor, I have made Woody’s Waterfront my regular spot to grab brunch or a late lunch sandwich on my way to the beach. Woody’s has lots of outdoor seating looking out over the water. The food is simple but tasty. If you're looking for fantastic seafood, go to Crabby Bill's for dinner and indulge in their scrumptious seafood selection while gazing out the window at the tropical sunset over the waters. Perhaps it's a special celebration and you want to get dressed up and have a delightful dinner. The Grand Plaza Hotel houses Spinners Rooftop Revolving Bistro. Not only will you enjoy a fine dining meal, but you will also experience the scenery in a 360 revolution from 12 stories up. It takes an hour and a half for you the revolve once and take in the serene beaches and breathtaking sunset. Pro tip: Parking is metered and they accept card or cash. It is $2.75/hr. 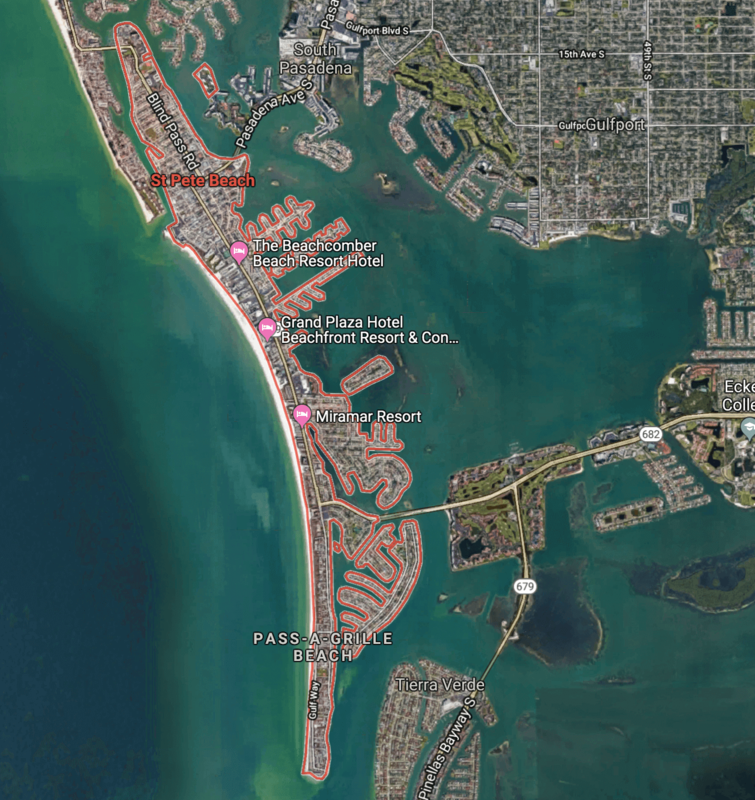 Beach access parking lots include St. Pete Municipal Beach Access across from Dolphin Village Shopping center, Upham Beach Park or free street parking on Corey Avenue which is a 10-minute walk to the beachfront. FlyCheapAlways finds you savings on airline tickets and hotels around the world. We at Fly Cheap Always compare fare from 700 airlines and 200 travel agencies to find you the best low fare flights. We are continuously working to find you the best travel deals and offers to enjoy more and save more on your trip.